Now let’s take a look at an example of the Tory’s actual handiwork in this area of concern. On Thursday 12 Nov 2015 there was a meeting of the Adult Care and Health Overview Scrutiny Committee (OSC) of Wandsworth Council. 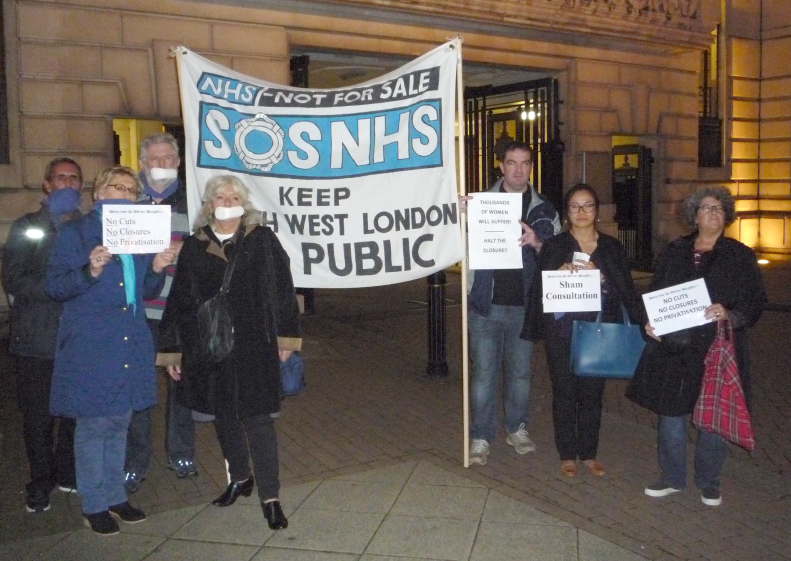 The OSC received a deputation from South West London Keep Our NHS Public (SWL KONP), supported by members of the KOSHH (Keep Our St Helier Hospital) campaign group. St George’s then mounted a ridiculously brief so-called “consultation”, which was initially advertised only in English on the little known Wandsworth Healthwatch website for 2 weeks. 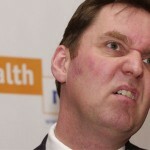 The probability of members of the public being aware even of the existence of the “consultation” was thus very small. The proposal was to make permanent the change to Croydon (whose services were significantly less comprehensive than St George’s). After criticism St George’s sent 900 letters about the “consultation” to patients and had received only 64 responses by the day of the OSC meeting - Nov 12. 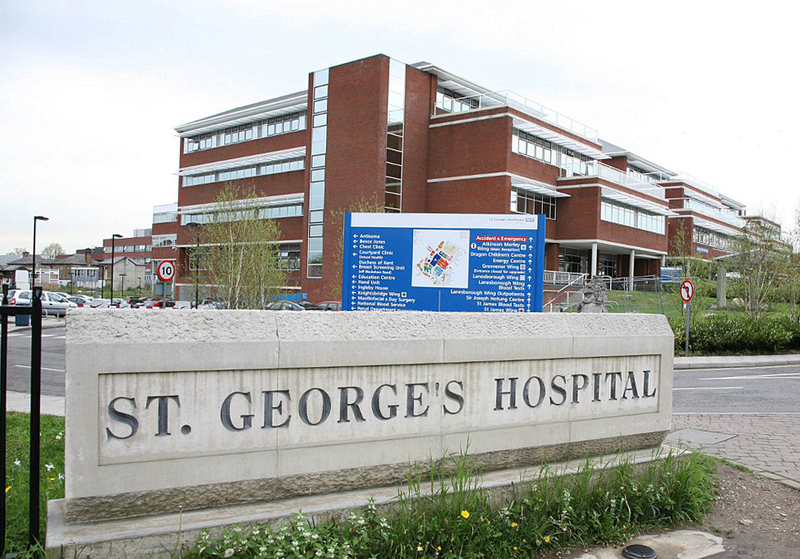 A petition for full restoration of the services was produced in 12 languages (many of St George’s patients do not speak English or do only as a second language). 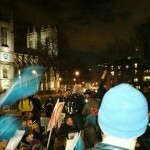 The deputation was seen by the OSC because over 2000 people signed the petition. The Urogynaecology services at St George’s are especially important. In addition to the normal urogynaecology services that would be seen at any teaching hospital a quarter of the size of St George’s, they include forensic gynaecology and reconstructive surgery for FGM victims. Under St George’s proposal these highly important specialised services would cease to be available. In response to the deputation the OSC acknowledged the inadequacy of the so-called “consultation”, which Wandsworth Healthwatch said would normally be of at least double the duration set by St George’s. Despite this the OSC did not require the Trust Board to undertake a properly structured and adequately advertised consultation of sufficient duration. Amazingly, the OSC Chair declared that the Committee was not competent to judge the merits of any alternative proposal to the one proposed by St George’s. They left it to the Hospital’s Trust Board to decide what to do and announced that the OSC would not be looking at the issue again! So much for official scrutiny to protect the public interest! So this is how we can expect a flagship Tory Council to carry forward Cameron’s professed commitment to looking after the best interests and needs of women in South West London. Services at St George’s are vital to the growing population of SW London, as are those at St Helier and Epsom Hospitals. The reduction and downgrading of services at any of SW London’s hospitals places the health of the entire population of SW London at risk, not just those living near a particular one of those hospitals. We are witnessing the deliberate controlled demolition of the NHS in order to force reliance on private providers and release NHS land at knock down prices to profiteering property developers. We must all work to expose the lies and spin put out by the politicians. 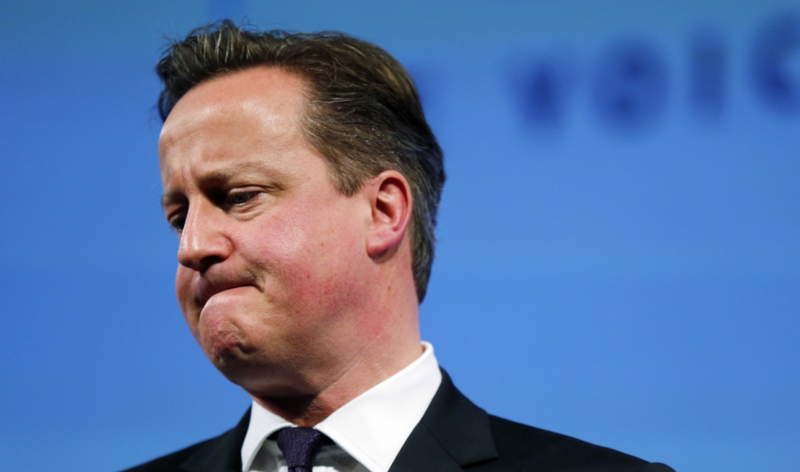 Unless we all unite to fight back we shall lose the most precious creation we own – OUR NHS – forever.